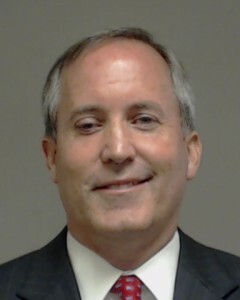 The three lawyers prosecuting Texas Attorney General Ken Paxton can continue to get paid, at least for now, a Dallas appeals court decided this week. For more than a year, local real estate developer Jeffory Blackard has waged a legal battle to keep the prosecutors from getting paid. Blackard alleges Collin County — which is on the hook to fund the prosecution — is misusing taxpayer money by agreeing to pay $300 an hour to the attorneys overseeing the criminal fraud case against Paxton. On Wednesday, the 5th Court of Appeals in Dallas disagreed with Blackard and threw out his suit. But it’s not dead yet, his attorneys said. It’s unclear whether Blackard’s attorneys will appeal the Dallas court’s decision to the Texas Supreme Court, ask for a rehearing in Dallas or file a new suit. Collin County has been billed $510,000 for the prosecutors’ work so far. The latest invoice was submitted last week, and the Commissioners Court is scheduled to discuss whether to pay the bill on Jan. 30. Ironically, Greim said, one reason the appeals court threw out his client’s suit is because there was no payment pending when they heard the case. Now that there is another invoice submitted, this one for $205,000 for more than a year’s work, Blackard will revive his challenge. See here and here for the background. In late April, the Fifth Court denied a writ of mandamus to order the trial court to reverse itself, on the grounds that Blackard didn’t have standing. This whole thing gets pretty deep into the procedural weeds, so I’ll not expose my ignorance by trying to analyze it. I will note that apparently Blackard has already filed another lawsuit, though the DMN’s stupid paywall prevents me from telling you any more than that. Expect to see another update on this in due time.